RICK G EARTH (Chi.) 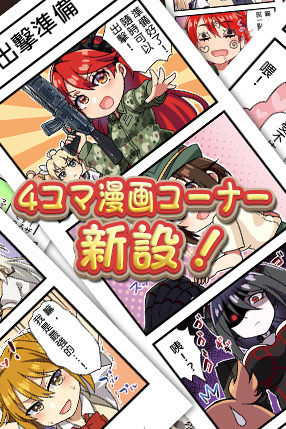 縞たまご・眼魔礼・和田ちん Adventure Slice of Life Moe On-going 62637 Read Now Kawaii Rick G Earth girls show up in comic strips! Rick G Earth is a bishoujo strategy game based on Japan Ground Self-Defense Force. Players have to control a team consisting of six girls on a hex grid and battle against the army of Magma. Not only does the game feature realistic weapons and maps that exist in real life, it also has a cast of popular voice actresses for players' enjoyment. Act as a commander and take control of an army of humaniod weapons and garrison girls in Rick G Earth!